I am always in a hunt for good applications that will simplify how I execute things and ultimately enhance my productivity. In the past year the need to be more productive and efficient has been greater due to added responsibility and a new environment to adapt to. Here I will share a list of 5 superb free productivity apps that have come to my aid to do things in a better manner. 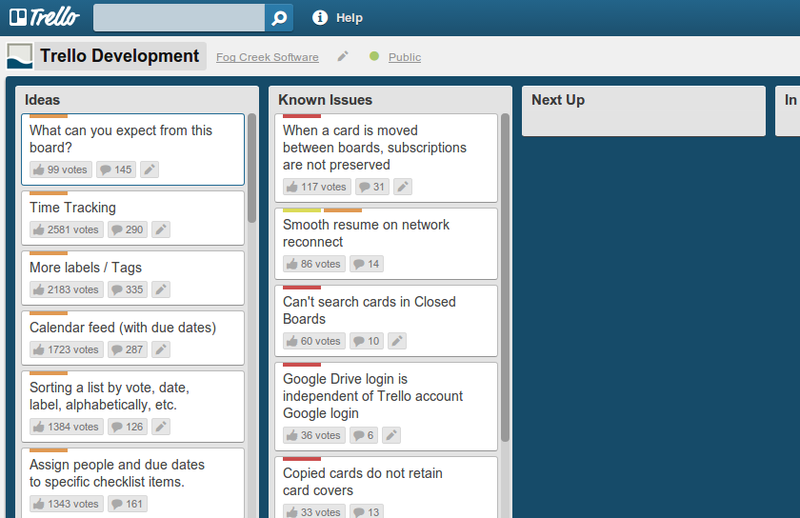 Trello is a collaboration tool that organizes your projects into boards. In one glance, know what’s being worked on, who’s working on what, and where something is in a process. We follow the Kanban software development methodlology and Trello plays a vital role in making that happen. 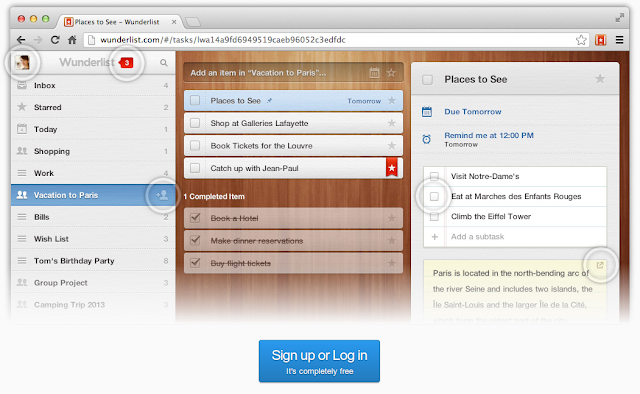 In addition, It can be used as a todo list for you or any other thing you can think of. This video will give you a great idea of how to levereage the power of trello in your personal or professional life. 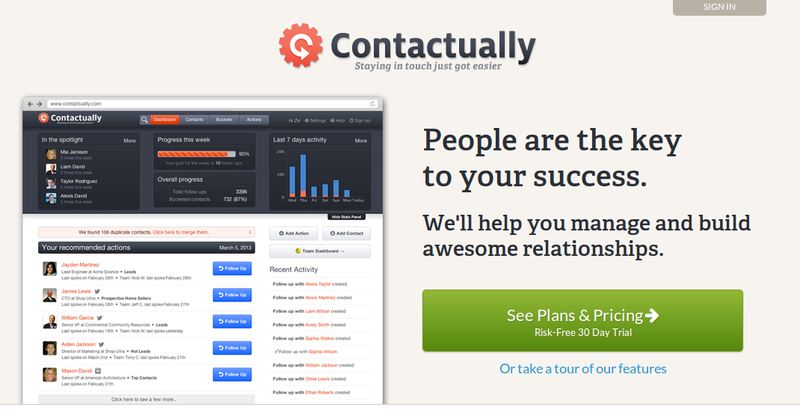 Contactually is a personal relationship assistant for your business that automatically pulls all of your contacts into one place, keeps your relationships organized, and helps you follow up with the right contact at the right time. So basically you have buckets (groups in their terms) and you assign at follow up time to each bucket. You bucket/organize your contacts in the buckets. So if you have 5 close friends you want to be reminded to contact each week you can put all 5 of them to the “Close friends” bucket and contactually will ping you to contact them. It plugs in with your email and facebook and the reports are great but the free version is time limited and later is quite limited. Anyways its really worth a try. 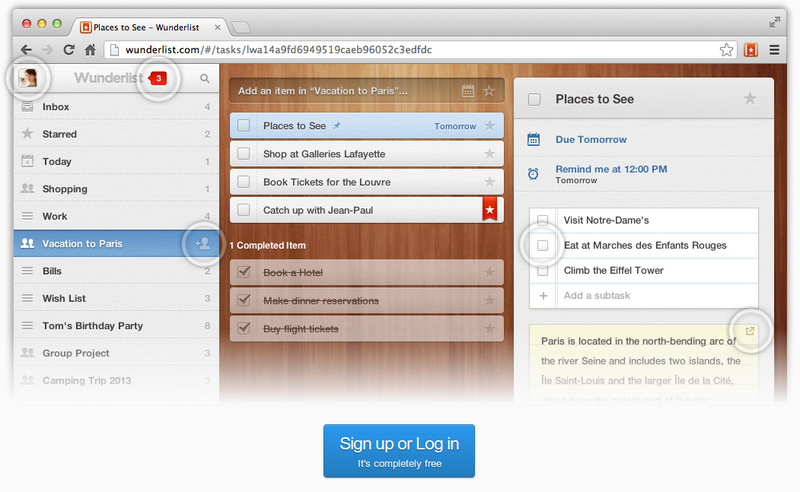 Wunderlist is a simple and beautiful to do list to get things done. It has a very IOS Appley look and feel to it but you can create multiple lists and even star things to do. You can organize things beautifully and even create a shopping list for your grocery. Its very easy to use. Pocket is a app that enables you to read something later (even without internet). 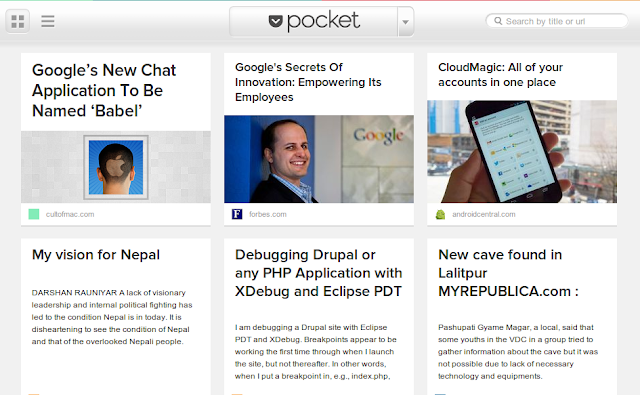 So if you find anything interesting and want to read it later just pocket it. You are able to tag it, star it and afterwards archive it. This video explains its use to a good extent. Hojoki is a collaboration home base for everything your team is working on in Dropbox, Google Drive, Evernote, and 30+ other tools. The dashboard is very clean you can organize apps to workspaces and it will show all the latest updates from lots of sources including Google Contacts, Trello, Twitter, Delicious etc etc. You can know more from this video and do have a look at the long list of integrated apps. There are other apps I came across in the past 12 months like Jira, OnTime Now, FlipBoard (not in the past 12 months but its cool) and HipChat (replaced Skype for internal office communication) but most of them are not free. 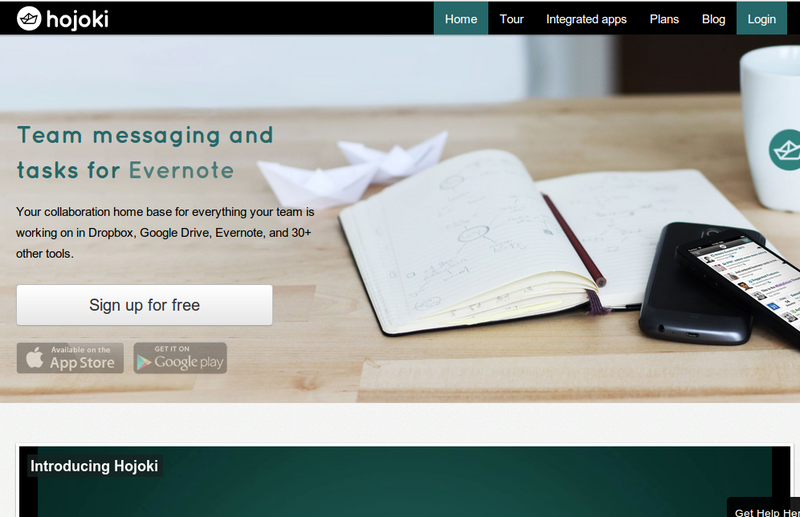 I hope these tools will surely help you improve your productivity. Work smart not only hard.